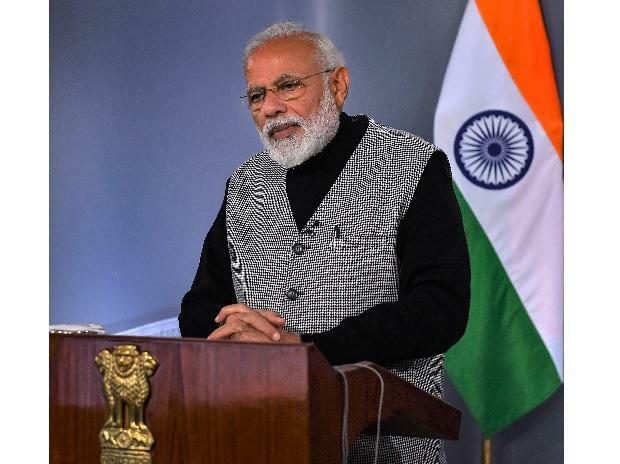 Prime Minister Narendra Modi Monday launched the indigenously-developed National Common Mobility Card (NCMC) to enable people to pay multiple kinds of transport charges, including metro services and toll tax, across the country. The Prime Minister launched the NCMC while inaugurating the first phase of the Ahmedabad metro train service here. After inaugurating the 6.5-km stretch of phase one of the Ahmedabad Metro, connecting Vastral to Apparel Park Area, Modi also took a ride on the metro. "This card runs on RuPay card and it will eliminate all your travel related problems. Many a times, we do not have change to pay in cash while travelling in metro, bus or train, or for toll and parking. To overcome this issue, an automatic fare collection system was introduced," Modi said. He said India used to import this system from foreign countries. "Since systems were made by different players, a card issued in one city did not work in another city. Thus, we asked various ministries, departments and even banks to resolve this issue," he said. "Now, we have this 'Made in India' card. Only a select few countries have this technology of 'One Nation One Card'," Modi said. Meanwhile, an official release said that NCMC cards are a bank-issued cards on debit/credit/pre-paid card product platform. A customer may use this single card for making payments across all segments including metro, bus, suburban railways, toll, parking, smart city and retail shopping. "The stored value on card supports offline transaction across all travel needs with minimal financial risk to involved stake-holders. The service area feature of this card supports operator specific applications e.g. monthly passes, season tickets etc," it said. The major challenge associated with the Automatic Fare Collection System (AFC) implementation in the country until now is the lack of indigenous solution provider, it stated. "Till now, AFC systems deployed at various Metros are from foreign players. In order to avoid the vendor lock-in and create an inter-operable system, there was a need to develop indigenous standards and AFC system under Make in India initiative," the release stated. It further said that in order to ensure a seamless travel across metros and other transport systems, in addition to retail shopping and purchases, the Ministry of Housing & Urban Affairs (MoHUA) came out with the NCMC program.